Phoebe Dong was born and raised in Sacramento, CA. She discovered her love for music at the age of four, when her parents bought her a tiny toy piano for Christmas. She taught herself to play by ear and at age 7, when the motion picture “My Fair Lady” opened in the theatres, her mother and father took her to see the movie.Dong recalls, “I remember falling asleep half way thru the movie on my Mom’s lap, but somehow the next day, I was able to plunk out one of the songs from the movie, 'On the Street Where You Live,' much to my mother’s dismay.” Her parents knew she had a special gift, but could not yet afford a real piano or lessons. Finally, when she was nine, her older brother who was about to attend college at Stanford, spent his summer job earnings on a spinet piano for her. Piano lessons soon followed, along with violin lessons in her public school music program. The rest, as they say, is history. Dong attended UC Berkeley, where she earned a bachelors degree with a double major in Music and English. She studied violin with Felix Khuner, former Associate Concertmaster of the San Francisco Symphony and later continued studies with George Kast, a well-known studio and orchestra musician in the Los Angeles area while completing graduate courses at the University of Southern California in Music Education. Dong has been a freelance orchestra musician for many years, and was a former violinist and pianist with the New West Chamber Orchestra in Sonoma. Dong has had many years of teaching experience. She was orchestra specialist for the Dixie School District for 17 years and a former conductor in the Marin Symphony Youth Orchestra Program for 13 years. During her tenure at Dixie School District, Dong’s middle school orchestra received high honors when they were invited to perform for the late legendary concert violinist, Yehudi Menuhin, at a string symposium held at San Domenico School. Before assuming her job in the Mill Valley School District, she taught on the faculty at San Domenico Music Conservatory (San Anselmo), teaching chamber music, orchestra and piano. 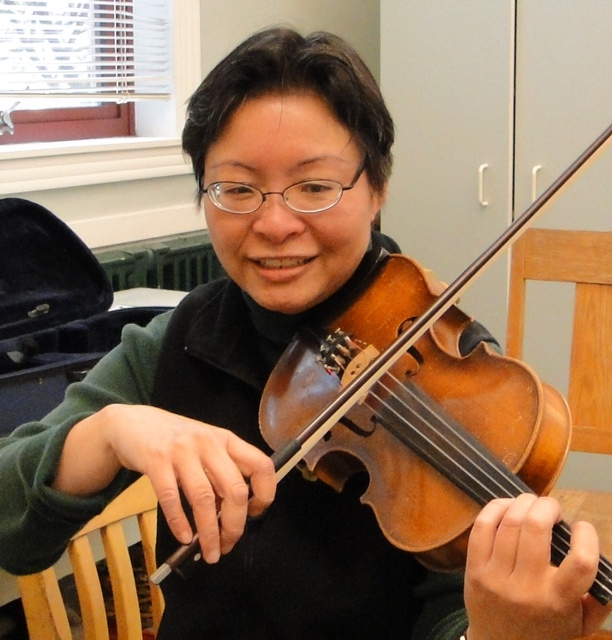 Ms. Dong served two years as Education Coordinator for the New Century Chamber Orchestra and was on the board of directors of the Music Teachers’ Association of California (Marin Chapter). In recent years, Dong has returned to intensive studies on piano and studies with master teacher, Margret Elson in Oakland.